In reflecting on this familiar passage from the Old Testament, I thought of a statement made by Apostle Eric Warren, who mentioned, “Everything God gives you is to prepare you for your next assignment.” His statement has particular significance during this period of transition where find ourselves. Whatsoever things were written aforetime, were written for our learning, that we through patience and comfort of the scriptures, might have hope. 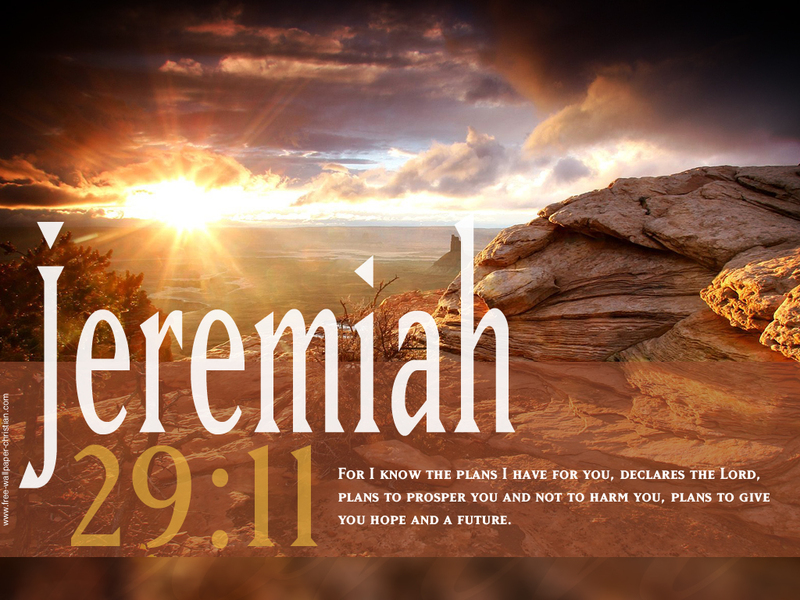 The prophetic word from Jeremiah can certainly have personal application, in that the plans that God has for each of His children are no less grand than those He has for the Children of Israel. As we ask God for guidance and direction, He will lead us and teach us all along the path that unfolds as a shining light that shines more and more unto the perfect day (Proverbs 4:18). Jeremiah 29:11-14 also informs us of God’s concern for our future or “final outcome”, so that we need have no fear for our future. This entry was posted on October 13, 2015 at 8:29 am and is filed under Application of Biblical Principles, Bible, Verse of the Day. You can follow any responses to this entry through the RSS 2.0 feed. You can leave a response, or trackback from your own site.